Dual medallion orange and black rug. Inspired from the medieval era of turkmenistan and handwoven in fine quality wool. Suitable for a corridor or passage in any given space with subtle interiors. 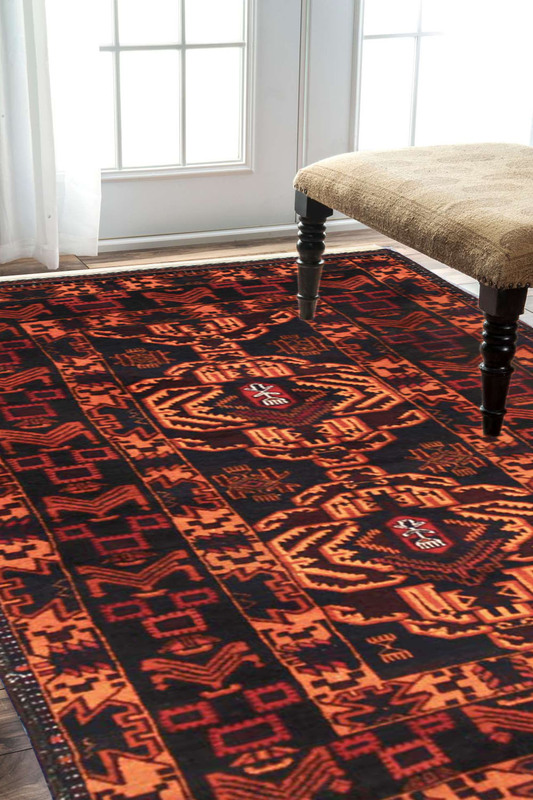 - Unique colors and vibrant hues of orange and black, this one of a kind rug is handwoven in fine quality wool. - The center of the rug has a double layered medallion and the border is extremely intricately woven. brightness to any room it is placed in.